Coffee & Equipment are dedicated to providing the best machinery and the best beans, but to ensure you are giving your customers the best quality coffee from your beans your staff must be trained well. Training is the utmost importance of producing a great coffee. In consultation with you, we will put in place a training programme to get your staff up to the highest standard. Initially, we will start with training your main Barista’s and then put in place regular on-going training so they can be fully competent in training any new staff as they come and go. We have developed training systems over the years to ensure consistency in the finished product in the cup and provide that all-important consistency across the staff making the coffee. We only provide barista training to our coffee customers at our cost. We believe this support is critical to helping our customers prepare fantastic coffee. We understand our beans and how to get the best out of them and will teach you how to do the same. This will give you greater comfort in knowing that you will be not only using premium beans, but you will be preparing and serving great coffee. We have the ability to train staff on your work site or in our training area at our showroom providing greater flexibility. 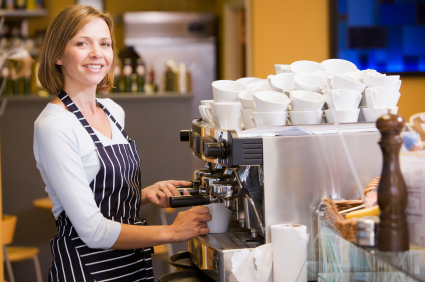 >>Click here to contact us to regarding your coffee training requirements.